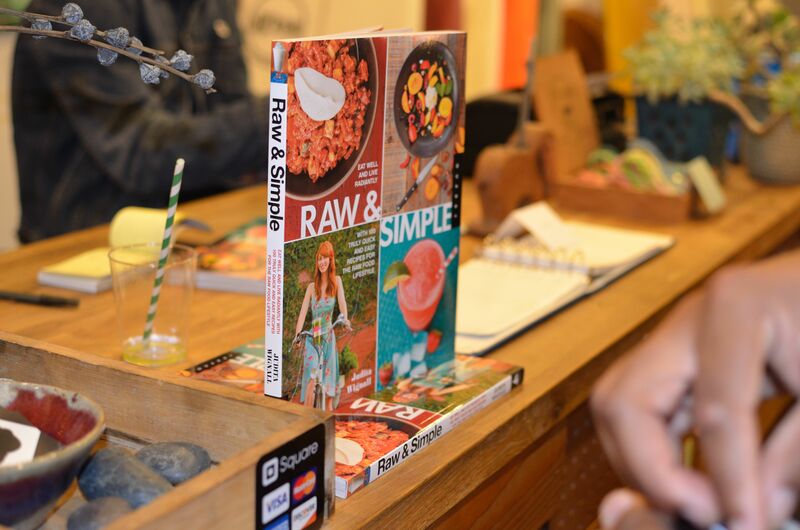 This week’s video is a quick update and I also announce the winner of the signed copy of Judita Wignall’s Raw & Simple (un)cookbook! Thank you to everyone who entered and stay tuned for more giveaways! I’m also excited to announce that #thejuicylife Project is launching in April!! I’ll have more details in next week’s video. If you have any topics you would like covered, let me know below or in the Comments section in the video. Lastly, it’s day 34 of 60! I only have three more 10 day cycles in my 10×6 juice fast. Watch the video to find out how I’m doing. Don’t forget to subscribe for new videos every Wednesday! If you like what you’re hearing, hit the thumbs up and share this vid with your friends! All content, including text and photography copyright © Kareen EatingRight 2009-2013, unless otherwise stated. All rights reserved. Ask first to use original text, photography, graphics, images, and scripts contained here. All information presented and contained within is based on my own knowledge, thoughts, opinions, and personal experiences. No information or products presented are meant to diagnose, treat or replace professional medical advice.